The following is an open letter to Rob Lowe and DIRECTV written by Dr. Rafael Castro, Executive Director of the Integrated Center for Child Development. It is published here with his permission. These days it’s all about the snow where I live, Mr. Lowe. Perhaps you’ve seen videos of my fellow Bostonians jumping from windows into snow banks? I even heard that somebody a bit further north just climbed the frozen falls up at Niagara. For me, this means that I can’t go outside for my regular runs – not even bundling up helps, as there is barely room for the cars on most streets, let alone the runners. So it is back to the dull treadmill and, with the treadmill, the TV, which is where I saw your latest commercials. “Creepy Rob Lowe” is such a downtrodden human that the marketing machinery behind the campaign probably thought that no one would be offended by demeaning him. You even hinted at predatory intention in the scene where this sad fellow goes to the public pool to “watch others swim”… with binoculars. That said, there is no one who is not deserving of compassion and dignity, no matter how we might perceive their attempts to interact with others. But Creepy Rob Lowe was just a beginning. It was the next character in the series, “Painfully awkward Rob Lowe,” that moved me to write to you today. I am a developmental neuropsychologist. My life’s work is dedicated to diagnosing, supporting, and advocating for children on the autism spectrum. What you did when you created and derided this character was to make a mockery, quite literally, of what is often a painful reality for my autistic patients. 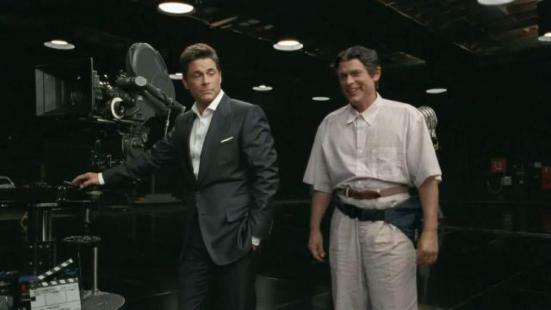 “Painfully awkward Rob Lowe” sports pants that reach impossibly high and are wrapped tightly with a belt above his hips. You gave him a hairdo parted in the middle that naturally clashes with the age of the character and is supposed to contrast with the swag and cool that you bring in the images that follow. What I see, rather than fodder for a punch line, is an adult who might once have been one of my patients – someone whose challenges with daily living skills, like grooming and hygiene, may just have gotten the better of them. More and more “painfully awkward” children walk through my door every day. And every day, I wish that they could come of age in a world that accepts rather than mocks their challenges. I don’t fail to get that this is about marketing and I appreciate humor as much as anybody else, but I truly believe that these ads miss the mark. The basic premise of advertisement would have sufficed: Mr. Lowe, in his splendor and magnanimity, chooses this product over another, and the rest of us subliminally consider following that lead in an aspiration to be like you. As I prepared to write this letter to you, I wanted to give you the benefit of the doubt. I hoped that perhaps this was another case of a celebrity unwittingly being used for a purpose not personally espoused. Then I saw that you are “on the talk circuit” speaking proudly of your association with this work and your ownership behind “the creative aspect” that gave birth to these portrayals. I could no longer reconcile giving you a pass. In your interview with Ellen Degeneres, in whom I would have hoped to find an ally in the fight for the dignity of the different, you basked in how this is not someone else’s creation, but is rather a collaborative, ingenious effort to which you gladly and proudly added your ideas. At the time of the visit to Ellen’s show, your last few characters had not yet been revealed to the public and you noted how you looked forward to their release. In your latest installments, you have gone on to make fun of characters including “Scrawny Arms Rob Lowe,” “Peaked in High School Rob Lowe,” and “Overly Paranoid Rob Lowe,” I dare say there will soon be quite a small segment of the population whom you have not insulted. It would appear that there is a progression in the commercials by which the attacks are increasingly insensitive. Your latest ad features “Poor Decision Making Rob Lowe,” who derides a mentally ill homeless person who is mumbling under his breath and pokes fun at the fact that your character would make the unwise decision to eat a tuna sandwich that he found on the bus. Has it occurred to anybody behind these commercials that it is not perhaps “poor decision making” but an unimaginable degree of desperation and need that would push a person to do such a thing? How low, no pun intended, need this go, Mr Lowe? I have no doubt that you did not mean harm when you created these ads. But intent and impact can be very, very different things. I implore you to shelf these ads. My young patients deserve so much better.